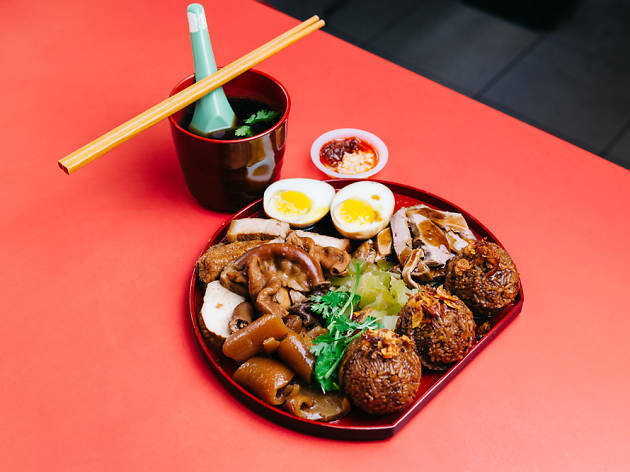 Established 30 years ago, this family business specialises in Teochew braised duck rice and kway chap – hence the name. Order the Bento Combo Jumbo Set ($8) while you're there. 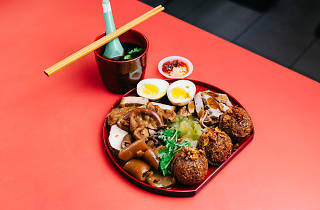 It's a generous, Instagram-worthy platter of yam rice balls with kway chap, pork belly, tau kwa, tau pok, cucumber chunks, radish, kiam chye and, rather than a hard-boiled one, an onsen egg.